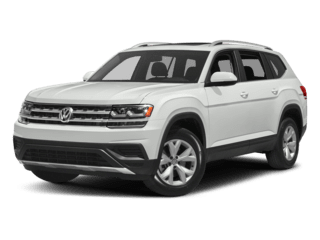 Choose your favorite options and see how easy it is to elevate your family’s next Chicago adventure in the expansive Volkswagen Atlas. Three-Row Seating – There’s plenty of room for seven in three spacious rows, giving your passengers the room they need to stretch out and relax. 12.3-Inch Digital Display – The traditional instrument cluster has been replaced with a customizable 12.3-inch digital driver information center for easy access to vital data. Expansive Legroom – With 37.6 inches between the first and second-row and 33.7 inches between the second and third, even adults have plenty of room to stretch. Flexible Cargo Space – Drivers can take advantage of the 96.8 cubic feet of available cargo room and split-folding rear seats to customize space for all the gear. Discover Media Touchscreen Navigation: Never get lost again with convenient integrated navigation. Second Row Captain’s Chairs: Give your second-row passengers a little more elbow room with optional captain’s chairs. Panoramic Sunroof: Let in a little sunshine on even the dreariest days with the power tilting/sliding panoramic sunroof available on selected trims. Remote Power Liftgate: Loading and unloading is a snap with the remote liftgate and Closing Assist feature. Three-Zone Climate Control: The Climatronic three-zone automatic climate control ensures every seat is comfy and cozy. Fender Premium Audio: An available 480-watt Fender audio system provides concert-quality sound from any source. VW Car-Net: The 6.5-inch in-dash touchscreen interface allows drivers to connect their compatible smartphone and access news, weather, music, maps, calling and much more. Climb into a 2018 Volkswagen Atlas and see the stylish interior for yourself. Contact Jennings Volkswagen today or visit our showroom in Glenview, IL to learn more. Be sure to ask about financing options while you’re here.